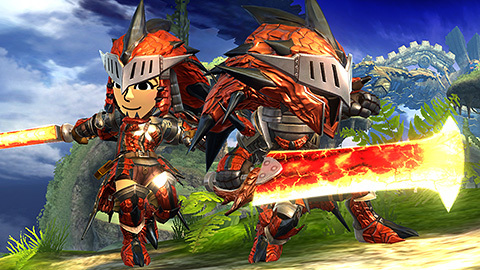 Monster Hunter outfits and a Mario Maker stage head the latest offering of Super Smash Bros. 4 DLC. 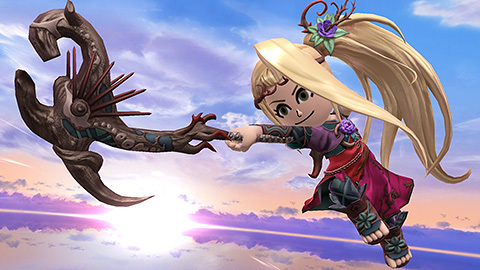 Nintendo has quietly released a slog of new Super Smash Bros. 4 DLC, and while there are no new fighters this time around, there are some new stages, and even a Monster Hunter crossover. 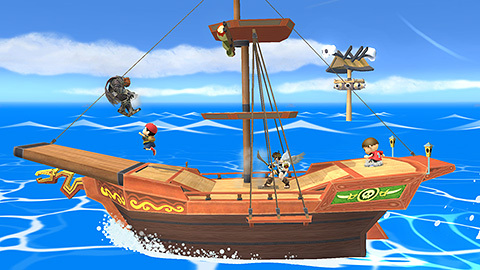 Additionally, the Pirate Ship level is exclusive to the Wii U version, and will only cost $1.99. 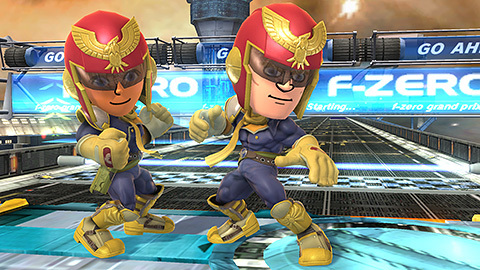 It appears to be a faithful re-creation of the same level from Super Smash Bros. Brawl. 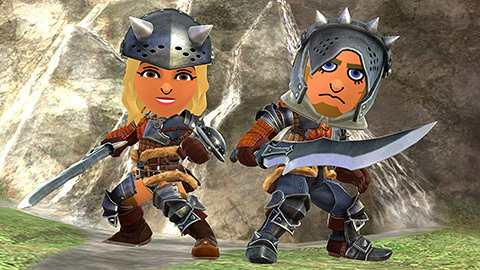 On to the inevitable Mii Fighter costumes: this time there are three Monster Hunter-themed costumes, as well as a Toad, Captain Falcon, Star Fox and Business Suit costume. They will set you back 75 cents each ($1.15 for both 3DS/Wii U versions). 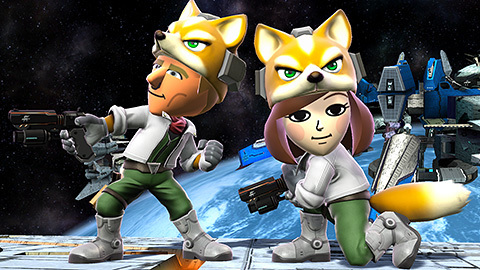 You can also see the Mii Fighter costumes in action in the video above. If you don't feel like buying all of this stuff piecemeal, there is a special DLC collection bundle for $7.74 ($9.73 on Wii U, $13.53 for both) that contains all of the wave four DLC. Anyway, hearing this makes me wish that my TV wasn't placed in the WiFi-deadest corner of the house, making me pretty much unable to get online. (Though I have been considering doing some re-arramgements in my room) I want all of the cool stuff! 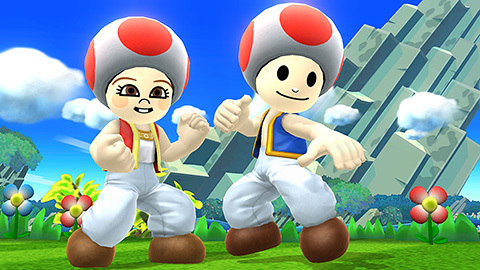 Jeez, I didn't realise how bad the DLC situation had gotten - I haven't played Smash Brothers since the Gamecube, but selling individual stages and costumes for a few bucks a pop? That's crazy. Whenever I've looked at the base game in my local store, it's still been priced at Â£45 - does anyone how much you'd have to shell out to get all currently available DLC (for Wii U only let's say)? 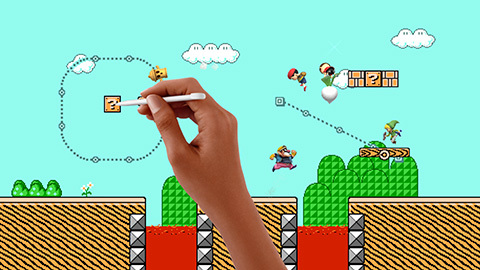 By all accounts, new stages are not strictly necessary and there are players who do not even care about that kind of thing or will ever play those stages more than once. 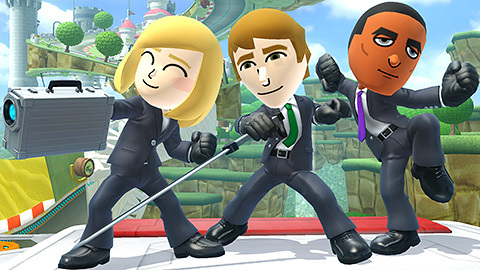 Costumes only apply to Miis and once again, many players do not use Mii fighters at all. New characters are different, but they also constitute a lot of work on behalf of the developers, and they are not necessary to play online if those characters do not interest you. This isn't like Killer Instinct where most of the game is paywalled off...for the most part, the only thing that would matter to the average player is the extra characters, and you'll get plenty of practice against those online. Currently, the cheapest way to get ALL of the released DLC so far is to buy all the bundles, which will set you back a whopping $72.06.